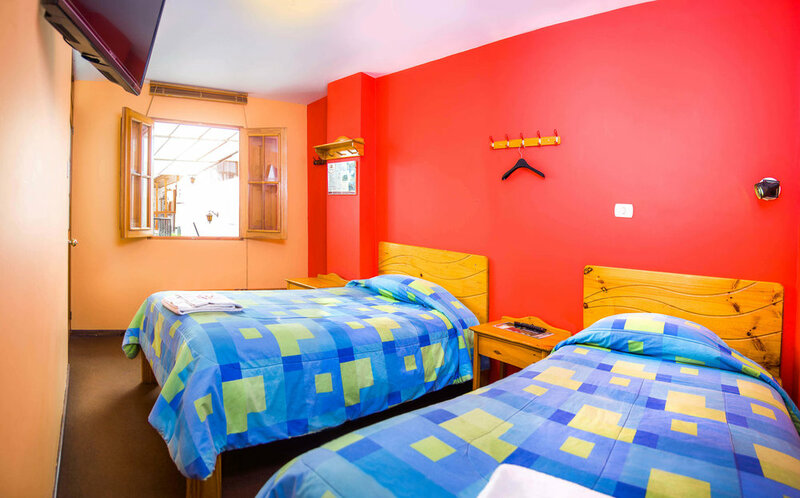 The room comes with two single beds and it has a private toilet with great showers and hot water around the clock. 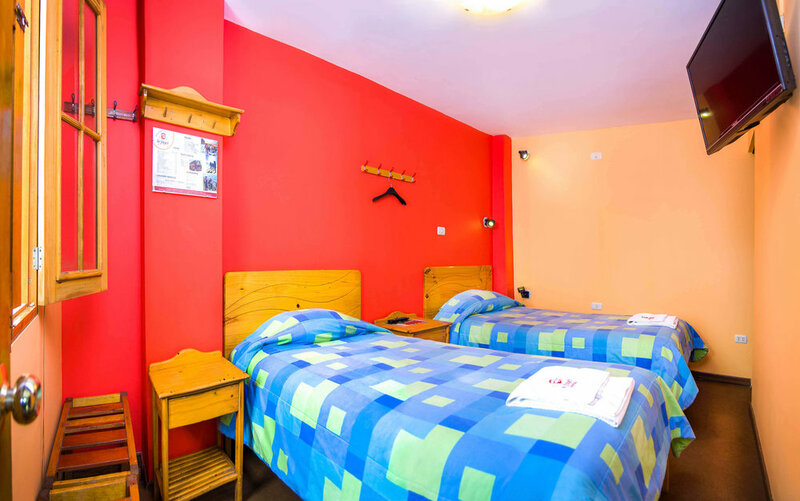 There is a flat-screen TV with cable and we made sure you get our free WiFi with very strong signal. 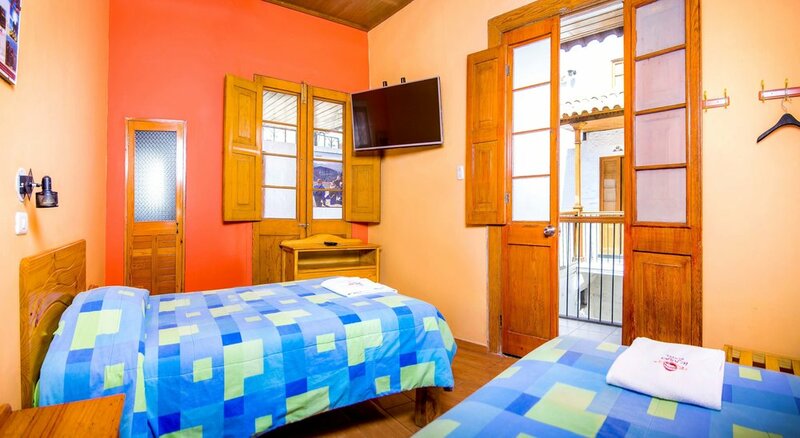 The price includes the breakfast which is served on our terrace with breathtaking views of the Chachani Volcano. 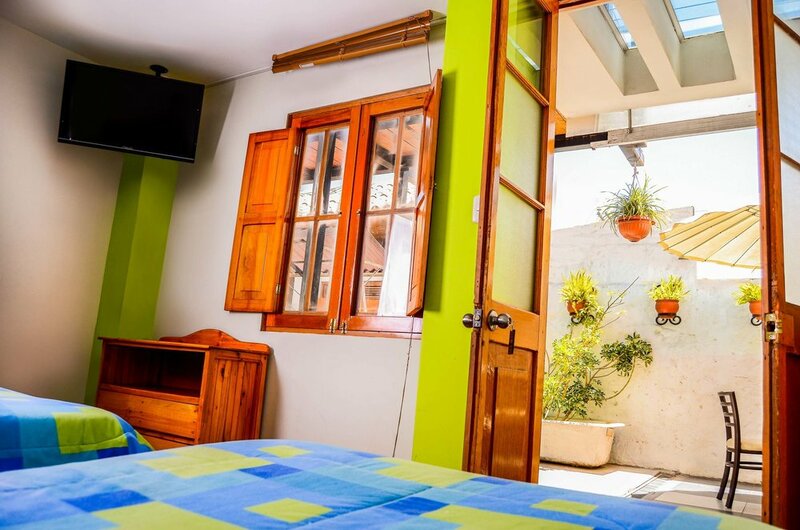 They are all with nice and big windows making the rooms bright and fresh. 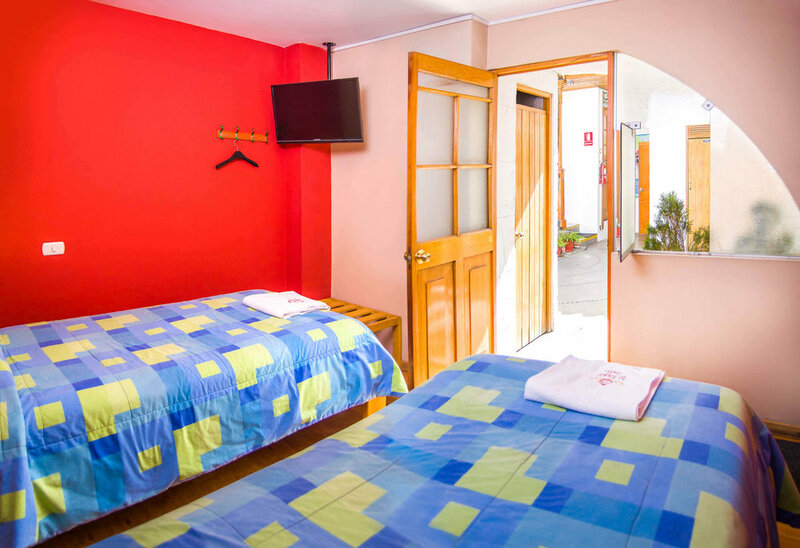 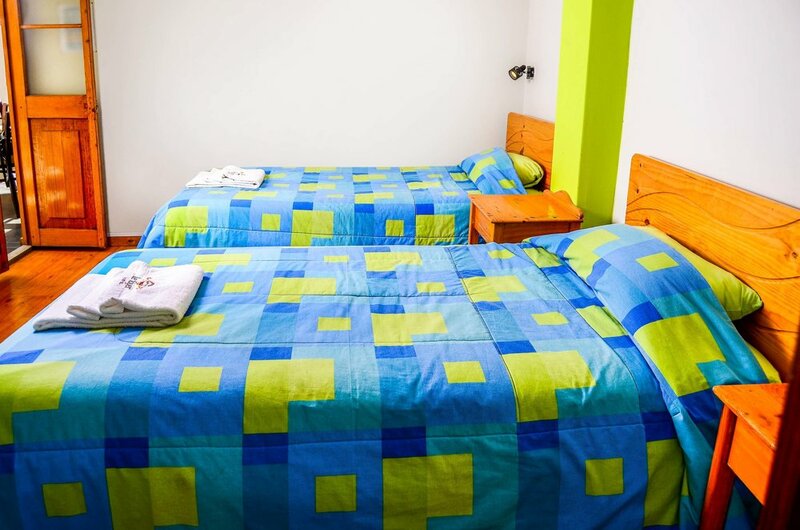 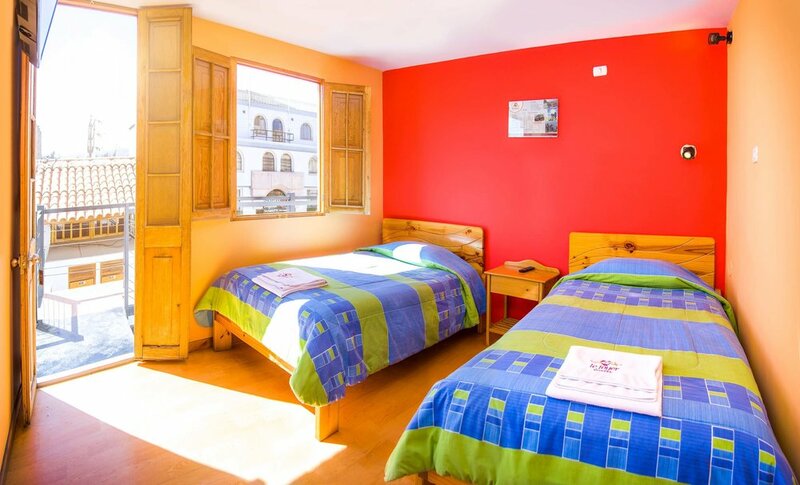 Comfortable and full of charm these rooms represent great value for a private room in the historical centre of Arequipa.